Today some of our EAGLE students presented their internship and innovation laboratory projects. Very interesting topics and they obviously applied and deepened their remote sensing knowledge a lot. Karsten Wiertz did his internship at the Białowieza national park on “Spatio-temporal analysis of tree mortality and gaps in the Białowieza Forest using high resolution imagery”. 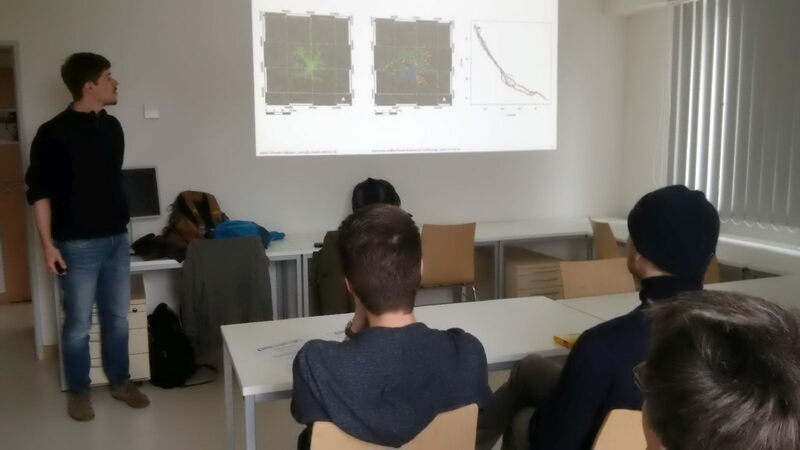 Jakob Schwalb-Willmann did his internship at the Max-Planck-Institute in Radolfzell on “moveVis GUI: Development of a browser-based web application for animating movement data”. Marcus Groll worked during his internship at DLR DFD on “Configuration of augmented & virtual Reality content with Unity 3d”. Pilar Endara analyzed in her internship at DLR DFD the “Spatio-temporal analysis of precipitation and NDVI in Somalia”. Additionally we heard about the innovation laboratory of Jakob Schwalb-Willmann at EURAC „Sentinel-2 based forest change detection across the Alps“.